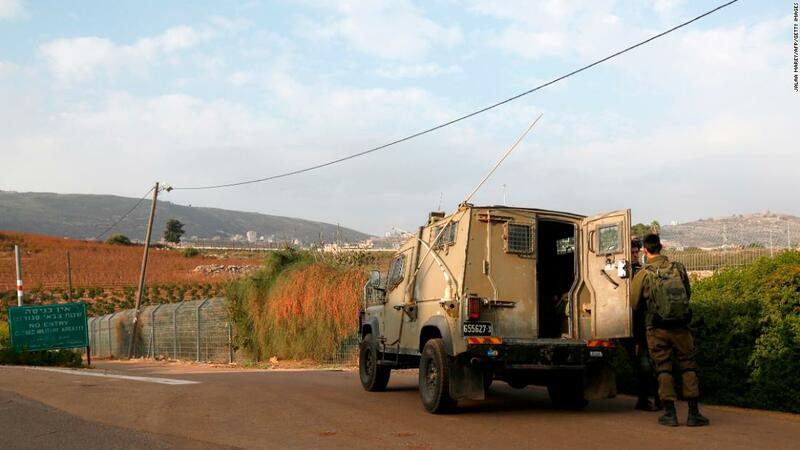 Home / World / Israel begins operation to "expose and thwart Hezbollah tunnels"
Hours after the operation was announced, the Israeli military said it had begun work to neutralize such a tunnel near Metula, Israel, which is right on the border. According to the military, the tunnel began in a civilian house in the Lebanese village of Kafr Kela, just west of Metula. CNN crews witnessed excavators and heavy machinery operating on the Israeli side of the border wall between the two sites. The tunnel penetrated into Israeli territory, the military said, but did not pose an immediate threat to Israeli civilians. Its cross-sectional dimensions were two meters by two meters, IDF spokesman Lt. Col. Jonathan Conricus in a teleconference with reporters who make it bigger and wider than a tunnel that has dug Hamas under the border between Israel and Gaza. The length of the tunnel was estimated at 200 meters, said Conricus. "This is the first of many cross-border attack tunnels that Hezbollah has dug out of Lebanon in Israel," added Conricus. 701," a reference to the resolution that marked the last war between Israel and Hezbollah, led by Iran funded militant group and political party ended in 2006. In a statement by the Foreign Ministry chaired by Netanyahu, the Lebanese government was held responsible for all activities carried out within the Lebanese territory. Netanyahu said he had discussed Operation Northern Shield with US Secretary of State Mike Pompeo said: "It is necessary to end Iranian aggression in Syria, Iraq, Lebanon and other places." 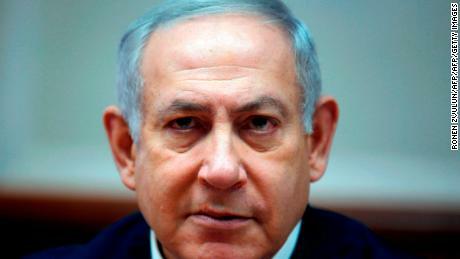 He added, "Anyone who tries to harm the state of Israel will pay a high price." The Israeli military says that "Northern Shield" is part of a larger defense effort to secure Israel's border. In recent years, Israel has built a defensive wall on sensitive parts of the border, created cliffs and cleared the vegetation. Netanyahu has frequently spoken out against Hezbollah in recent speeches, including at the UN General Assembly in September, when he accused Hezbollah of setting up missile systems near residential areas in the Lebanese capital of Beirut, a Hezbollah and the Lebanese government. A senior Hezbollah official told CNN that the group was "surprised," adding that they had watched the Israelis move across the border with Israeli forces using dogs and sensors to try looking to search for tunnels. "They are worried that we are digging tunnels," the official said without confirmation or denying that they were. Al-Manar TV, owned by Hezbollah, continued with regular programming and even sent a report on traffic problems in Lebanon while news of the Israeli operation was breaking. A spokesman for the Israeli Foreign Ministry said the operations would take place in Israeli territory. The residents of northern Israel were told that they need not make any arrangements but can continue their daily lives. A number of territories adjoining the security fence in northern Israel have been declared "closed military zones". John Bolton, US National Security Advisor, said he supported the Israeli operation and criticized what he called "regional aggression in Iran." "The US strongly supports Israel's efforts to defend its sovereignty, and we urge Hezbollah to cease its recruitment to Israel to tune and refrain from escalation and violence," Bolton said Tuesday. "In a broader sense, we call on Iran and all its agents to stop their regional aggression and provocation, which constitutes an unacceptable threat to Israeli and regional security." The United Nations peacekeeping mission in southern Lebanon, UNIFIL, stated this to CNN was "aware of the reports." "UNIFIL is working with all relevant interlocutors to ensure that the parties use UNIFIL's liaison and coordination mechanisms to maintain lasting peace and stability, and the situation in the UNIFIL area remains calm," said the spokesman for the UNIFIL UNIFIL, Malene Jensen. The Lebanese army claimed to monitor the situation. "There's nothing on our side … We're monitoring the situation and working with UNIFIL," said Lebanese army spokesman Colonel Fadi Abou Eid to CNN. CN Wedes Ben Wedeman, Ghazi Balkiz and Tamara Qiblawi reported from Beirut. Andrew Carey, Oren Liebermann and Michael Schwartz from CNN reported from Jerusalem. CNN's Elise Labott contributed from Washington.